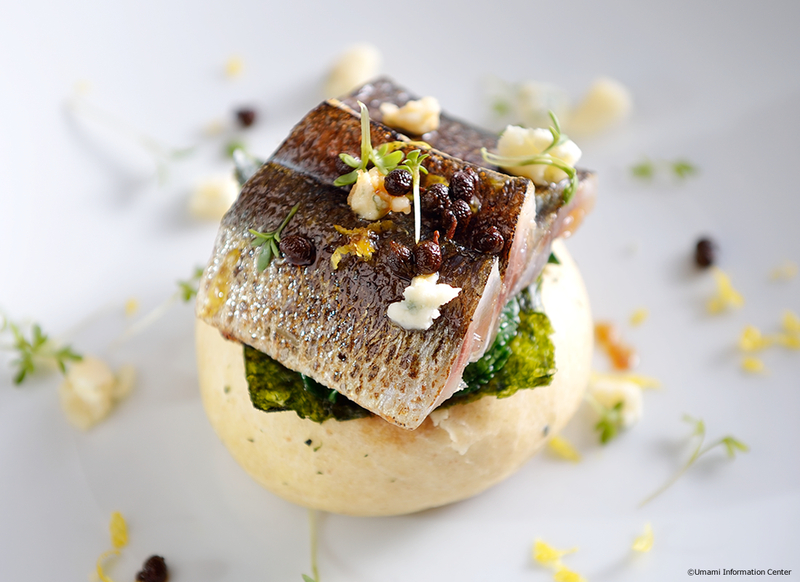 The sardines are basted with soy sauce during grilling and served with brioche made from dough containing umami-rich nori, in a flavorful dish that combines the ocean’s bounty of fish and seaweed with the mountain’s blessing of Roquefort cheese. 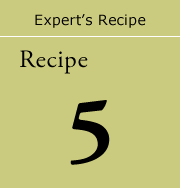 Sea lettuce, dulse (a red algae) or similar seaweeds can be substituted for the nori with just as delectable results. 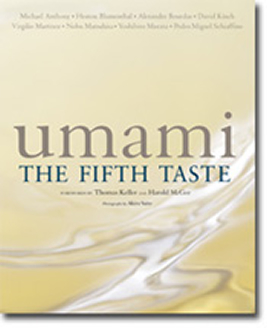 「umami : THE FIFTH TASTE」Publisher:Japan Publications Trading Co., Ltd. Publisher:Japan Publications Trading Co., Ltd.